Greetings nice and nerdy friends and fans of all-things, sci-fi, geeky and everything in between, have I got a treat for you. 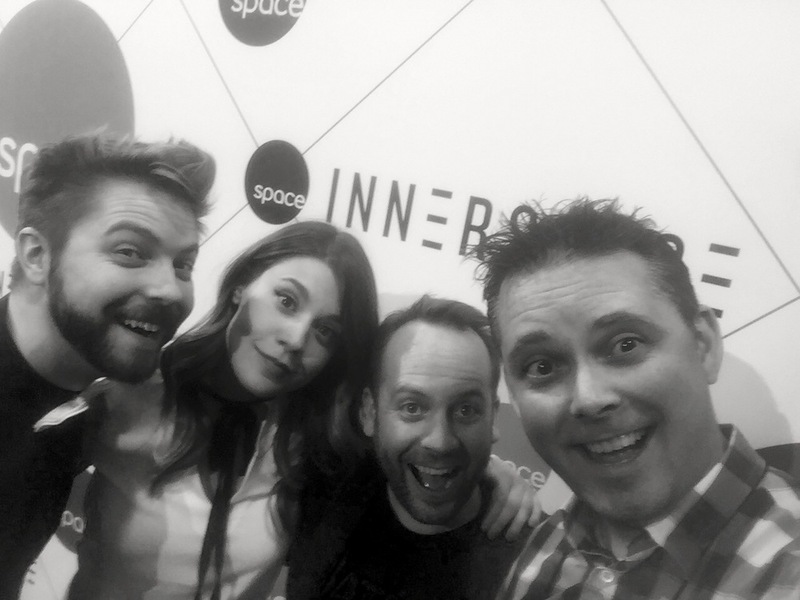 On day two of the Calgary Comic & Entertainment Expo, in a secret hideaway, the three hosts of the hit Space channel show Innerspace, Ajay Fry, Morgan Hoffman and Teddy Wilson took time to chat with me. And what a blast we had. Talking about their Orphan Black Panel at Calgary Expo to Innerspace: After The Black, their favourite comics and where to catch the three hosts Saturday and Sunday at Calgary Expo. (And here's their Saturday & Sunday schedule). If you haven't already hit play, thanks for still reading. Turn on your listening ears and enjoy the interview. And, Morgan, Teddy and Ajay: thank you again for taking the time. The three of you are always so much fun to talk to. This interview was recorded and written by Chris Doucher, Managing Editor for GeekNerdNet.